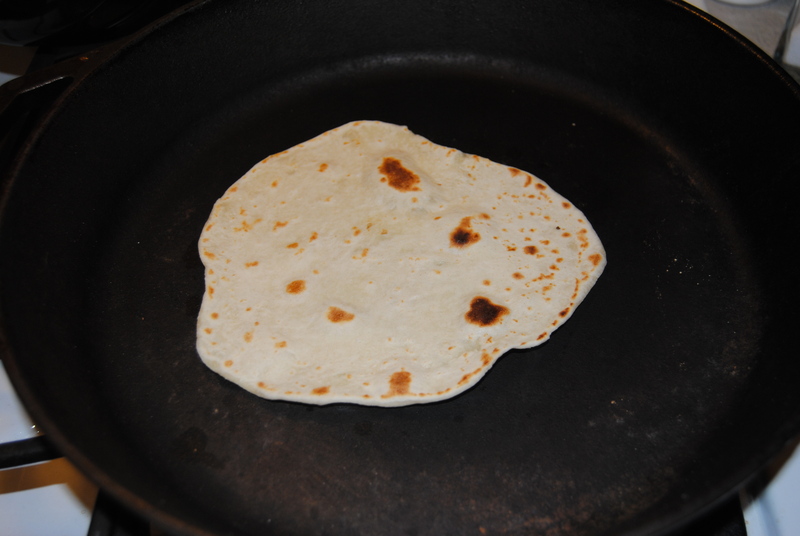 I would choose a tortilla over a piece of bread every time. Actually, almost every time. I’ve come across a few brands of tortilla that I would never buy again. However, after finding this recipe, I don’t know that I’ll ever buy another tortilla. Mix the flour and salt in a large bowl. Cut the solid (NOT melted) coconut oil into the flour, much like if you were making a pastry or pie crust. Mixing with a fork, slowly add the milk until the mixture begins to form a ball. Knead for 2 minutes, and then cover the dough and allow it to rest for 20 minutes. Pull off a piece of the dough and roll into a ball (about the size of a golf ball). 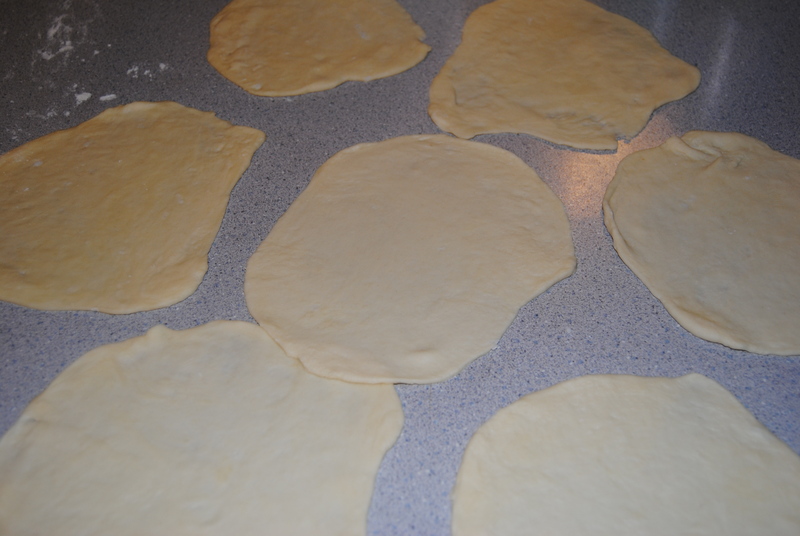 Roll out into a circle or using a tortilla press to form the tortilla. You can make these as thin or as thick as you like. Heat your skillet over medium heat. I recommend using a cast iron skillet. If you don’t have a cast iron skillet, go out and get one now 🙂 Seriously, I’m really not sure why it took me so long to regularly use cast iron. It rocks!!!! 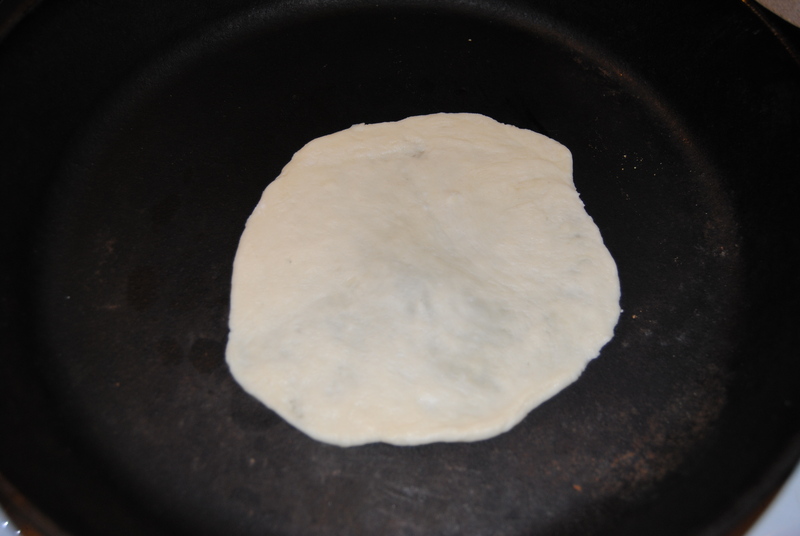 Place one of your flat tortillas on the hot skillet. If you’re using cast iron, you won’t need to oil the pan. When it begins to bubble, turn it over. When it begins to bubble on the other side, pull it out of the pan. Repeat with the rest of the dough and then serve warm. 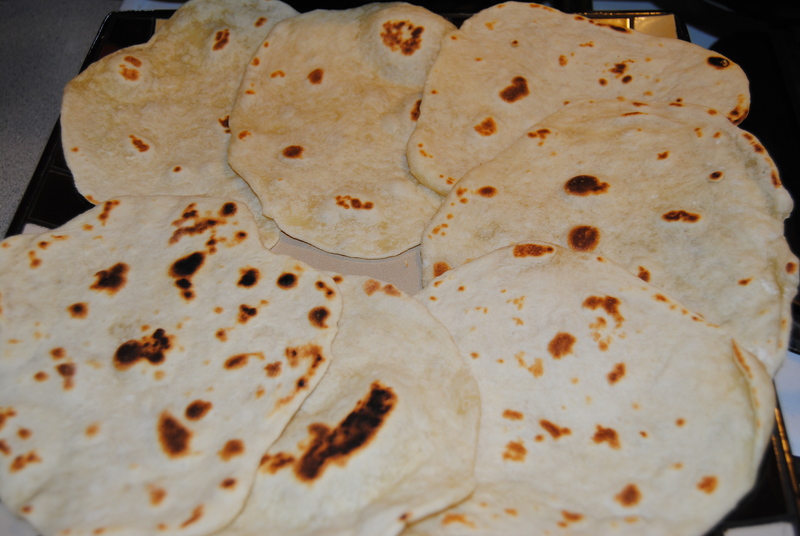 I get about 12 tortillas from this recipe and typically double it so we are sure to have left-overs. If you try out this recipe, leave me a note and let me know what you think. Not all coconut oils are created equal. I used high quality organic expeller-pressed coconut oils. They do cost more, but no one in my family has tasted a hint of coconut. With that said, you can use other oils. They just need to be solid. I know a lot of people who use lard.